Hip dysplasia in dogs is a condition that that affects the hip joints. In the later stages, it can cause extreme pain for the dog and severely impede mobility. The cost of surgery to correct hip dysplasia puts that option beyond the reach of many pet owners. However, the symptoms of early-stage canine hip dysplasia can be managed. With proper care and medication to relieve pain and reduce inflammation, a dog can still live a happy life with the health condition. Many pet owners, though, do not like the idea of a dog having to be given medication for the rest of its life. That’s why some pet owners look for natural ways to treat conditions like hip dysplasia. One of the natural treatments available for hip dysplasia in dogs is CBD. If your dog has been diagnosed with hip dysplasia, then you probably would want to know more about the condition. You might wonder what you can do to help your dog. 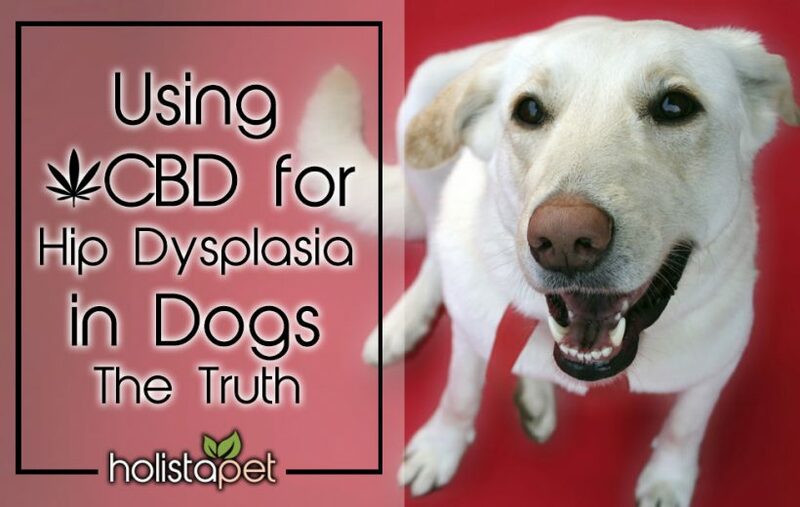 So, here is an in-depth guide of what hip dysplasia is and how some people are able to use CBD to help your dog cope with the condition. Hip dysplasia in dogs is a chronic condition where the ball of the femur does not slot into the correct position in the hip socket. The hip socket of a healthy dog is deep enough for the femoral head to fit inside. The cartilage between the socket and the femoral head allow the ball and socket of the hip to operate smoothly. In a dog with hip dysplasia, the femur and the hip do not fit properly together. This leads to excessive wear on the surfaces of the bones and damage to the cartilage. As a result of this, bone spurs develop in the socket, which can rub together and cause lameness and pain. Canine hip dysplasia is a progressive hereditary disease. It can also be caused by poor diet and obesity. The first signs of the condition usually first appear when the dog is a puppy. It will then gradually worsen as the dog grows older. What Are the Signs and Symptoms of Hip Canine Dysplasia? Hip dysplasia in dogs is an inherited genetic disease that is more common in some breeds of dogs than in others. 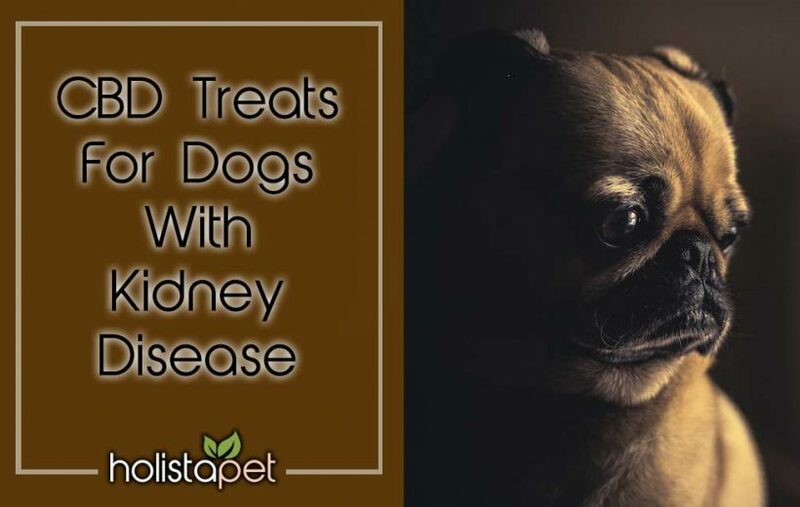 It is one of the most common skeletal diseases in dogs. It can occur in any breed, but the condition is more common in the large and giant breeds. The condition usually begins when the dog is still young, but it can occur later in life. While genetics is the most common cause of hip dysplasia, it can be brought on by osteoarthritis and obesity. What Are the Natural Treatments for Hip Dysplasia? 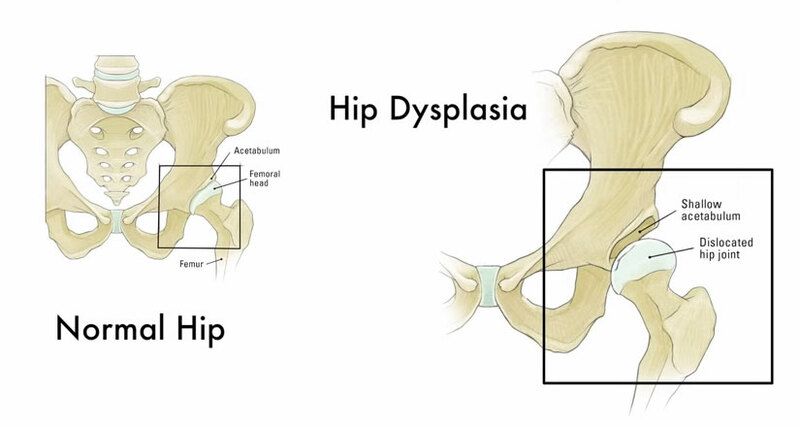 Because hip dysplasia is inherited, there is no treatment that will prevent the condition. If the condition progresses, there are surgical procedures available to treat a dog with hip dysplasia. Hip Dysplasia can be managed from an early age. A combination of care, healthy diet and natural supplements can slow the development of the condition and maintain the dog’s quality of life. Providing the dog with warm, dry place to sleep and exercise will also help to manage the hip dysplasia. In the later stages of the condition, pain relief may be required. Hip dysplasia causes inflammation. A balanced diet of raw ingredients will help to reduce the inflammation. Maintaining a healthy weight in the dog will also help. The extra weight that obesity places on the hip joints will aggravate the problem. Exercise is recommended to keep the dog mobile, but it needs to be gentle exercise. Limited, gentle exercise is usually recommended. Swimming or 10-15 minutes of brisk walking can help. It is also important that you allow the dog time to warm up before starting any exercise. Natural supplements can also be used to help manage hip dysplasia in dogs. The essential fatty acids in fish oil supplements will help to reduce the inflammation and help keep the joints healthy. There are also some natural supplements that can be used to treat both the inflammation and the pain. These include turmeric and CBD oil. Hip dysplasia in dogs can be very painful, so taking steps to make it easier for your dog to move around will be helpful. For dogs with severe hip dysplasia, you may need to provide ramps to help your dog get up and down steps. You may need to help your dog in and out of cars. Providing your dog with a warm, dry and soft bed will also make your pet much more comfortable. What Is Cost of Surgery for Dog Hip Dysplasia Surgery? Unfortunately, surgery to correct hip dysplasia in dogs can be very expensive. The type of surgery needed will depend on the age of the dog and on how far the condition has progressed. In cases of end-stage hip dysplasia, total hip replacement may be recommended. At this stage, mobility will have been severely impaired and the pain will have become difficult to control. Total hip replacement surgery will cost between $3,500 and $7,000 for each hip. A Triple Pelvic Osteotomy (TPO) is a surgical procedure that can be used to treat dogs in the very early stages of hip dysplasia. The procedure involves cutting the pelvis in three places, which aligns the head of the femur up better with the socket of the hip. For dogs that still have good hip muscles, a femoral head osteotomy (FHO) may be suggested. This is a surgical procedure that removes the head of the femur. That stops the rubbing of the ball on the hip joint. In the very early stages of hip dysplasia, when a dog is between 12 to s6 weeks old, a vet may suggest a juvenile pubic symphysiodesis (JPS). In this procedure, which is quite rare, the bones of the pubis are fused together. This helps to correct the alignment of the hip joints. What Breeds Are More Likely to Get Hip Dysplasia? Unfortunately, there is no medication that can prevent or cure hip dysplasia in dogs. Surgical procedures to correct the condition are also very expensive. With the right diet and exercise, however, hip dysplasia in dogs can be managed. Vets may prescribe anti-inflammatory and pain relief drugs to manage hip dysplasia in dogs. But, many people prefer to use natural remedies for their pets wherever possible. This has led many pet owners to consider using CBD to treat hip dysplasia. CBD (Cannabidiol) is a natural compound that is extracted from the hemp plant. Unlike THC, which is another cannabinoid found in cannabis and hemp plants, CDB is not psychoactive. CBD has been found to have many therapeutic properties. Scientists have found that the compound interacts with the endocannabinoid system. This produces some remarkable effects. Two of the best-known therapeutic benefits of CBD are its anti-inflammatory and pain killing properties. 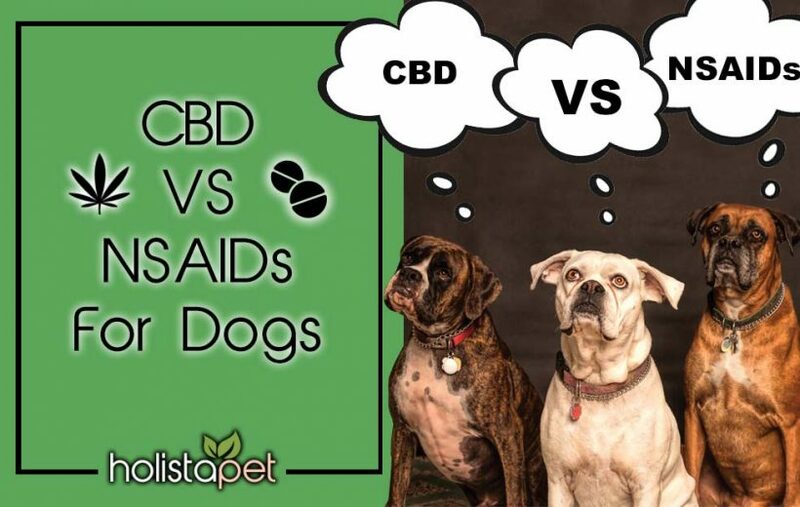 CBD can be administered to dogs in several different ways, including CBD Oil Drops, CBD capsules, and CBD dog edibles. When CBD is administered to dogs with hip dysplasia, it can reduce the inflammation and pain. Unlike the drugs that are often prescribed for hip dysplasia in dogs, CBD is non-toxic. Also, CBD does not cause any negative side-effects. There is no suggestion that CBD can cure hip dysplasia. However, it may make your dog feel much more comfortable and provide your pet with a better quality of life. In cases of end-stage hip dysplasia, surgery is likely to be the only option. In the earlier stages of the condition, though, CBD can provide an effective way to manage the condition. next post: What Can I Give My Dog for Fireworks Anxiety: CBD?